The a capella sensations from Pentatonix were in Singapore last week to perform live at the Marina Bay Sands Theatre. We sat down for a quick chat with them. Our upcoming album PTX Volume 3 – it literally took over our lives and we were pulling all-nighters for that. We’re also working on a Christmas album, and a bunch of little projects. We just recorded a music video for an MTV commercial for the Teenage Mutant Ninja Turtles movie. You guys did a cover of PSY’s Gangnam Style, where Scott sang the Korean lyrics perfectly. How long did it take to record that song? Scott: It took a few hours! This is totally a cop-out but I wrote the phonetics of the lyrics on a poster and kept reading it and listening to see if it sounded the same. I didn’t actually learn the language. We are doing a French song in PTX 3 though, and I actually learnt how to pronounce the words. How do you usually arrange your music? It depends on who’s most inspired by it, but we usually sit in a group and share any ideas we have. You can feel if everyone is excited about an idea, and we kind of arrange it on the spot. Everyone contributes and it’s a really cool, organic process. When you do covers, do you aim to transcend the standard of of the original song? We don’t try to make something that’s better than the original, we just want to take it and make it different. We like to take songs people have heard a lot and show them that it can sound different, but we don’t want to lose the essence of the song. Have any of the artists reached out and thanked you guys? Maroon 5, Gotye, Pharrell, Kelly Clarkson, and Beyonce even posted our video on her Facebook page. It’s the best feeling ever, because they’re all people we look up to. Which is your favourite cover you’ve done? Daft Punk – we’re the most proud of that. We worked really hard on it. 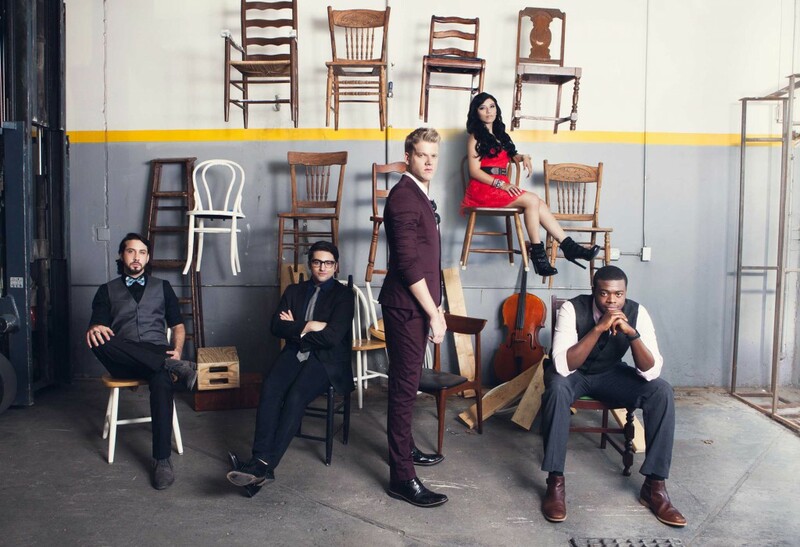 Pentatonix is going to be in Pitch Perfect 2, as the Barden Bellas’ rival group. How different are your on-screen personalities from your own? Very different! We don’t each have different personalities on the show, but we are definitely a lot nerdier in the movie than in real life. Scott, Kirstie and Mitch – you did a really funny Frozen medley video. Can you guys do impressions of any other Disney characters? Scott: (points to Kirstie) She could definitely do any Disney princess. Kirstie: (imitates Ariel from The Little Mermaid) Look at this stuff, isn’t it neat! I love Disney movies. I could narrate them all to you, and in a princess voice too. They haven’t really been crazy, but some of the fans in Singapore stalked the Marina Bay Sands hotel because they thought we were staying there. But then they somehow found out where we were actually staying, and some of them showed up at our hotel after the show. It was fine actually, but I had no idea how they found out where we were staying at. Everyone has been really kind and polite though. We got really good gifts, like candy and even a selfie rod. We love selfies so we use it a lot! Pentatonix won The Sing-Off on NBC and since then, you guys have been a huge success. How does it feel to have come this far? We have so many moments where we’re like, I can’t believe we’re here. We had one yesterday when we were at Ku De Ta (at Marina Bay Sands). We saw the Singapore skyline and we were like, this is so cool – a sold out show tonight and we’re here, in Singapore…it’s so surreal. We’ve grown so much as people, and musically too. We’ve been working non-stop and we’re so proud of the progress we’ve made as a group. Do you have any advice for aspiring YouTube artists? Get a good camera and microphone. That’s the biggest issue with YouTube artists – sometimes they just put up webcam videos. Good quality videos are important. Also, people are so critical of themselves sometimes – which can be good and bad. You can be detail-oriented but make sure you put it out there you know? Don’t always hide away because you’re afraid people won’t like it. If people don’t really like it, you’ll move on. 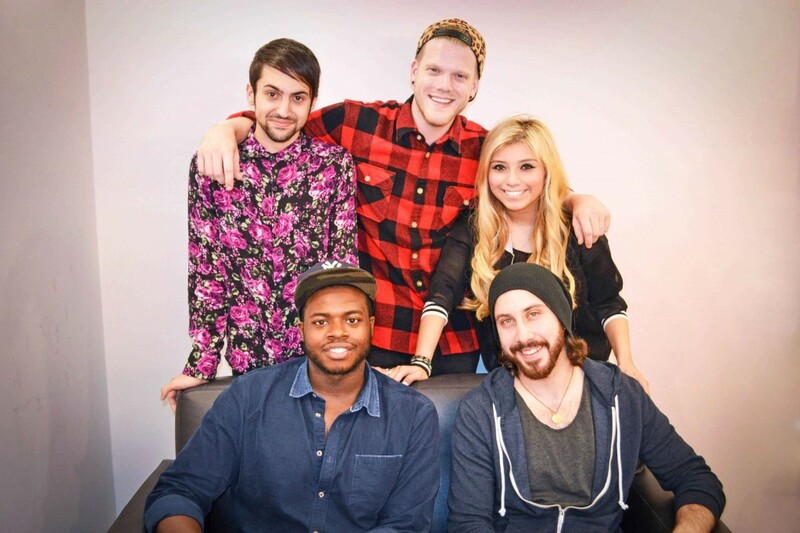 For more of Pentatonix, subscribe to their YouTube channel and follow them on Instagram.